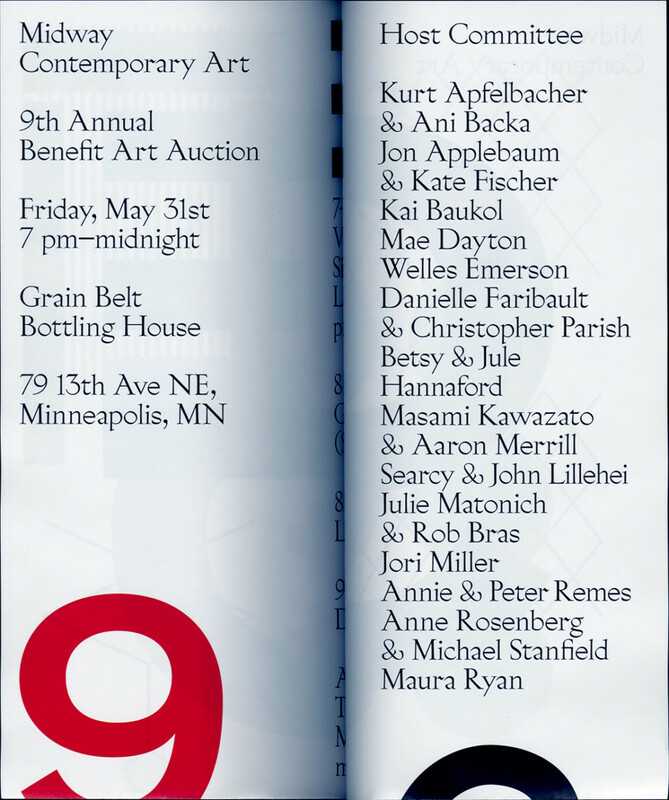 MIDWAY No 9 is a benefit event for the Minneapolis-based gallery Midway Contemporary Art. 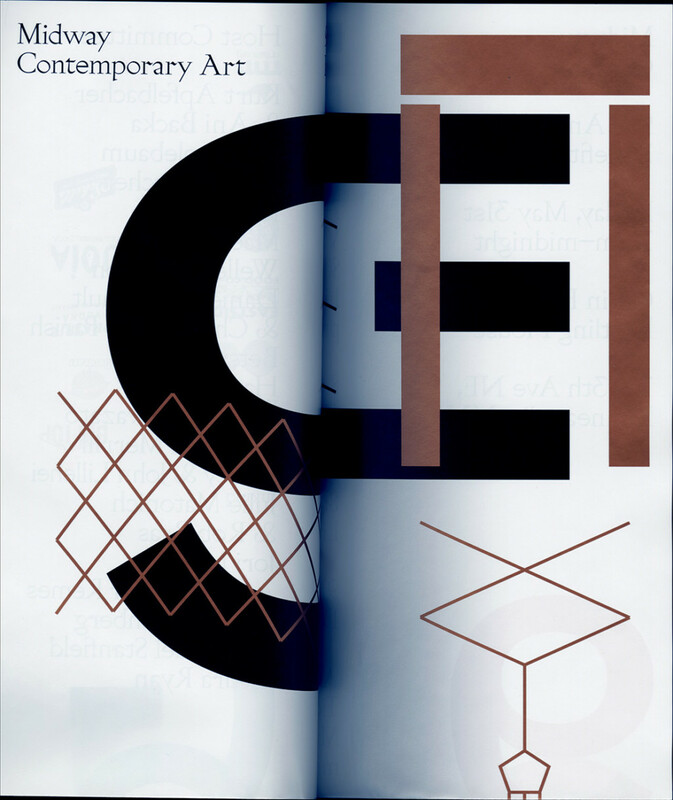 This particular year's theme was built around the idea of a yurt, a circular tent built on a collapsable framework used by nomadic peoples in central Asia. 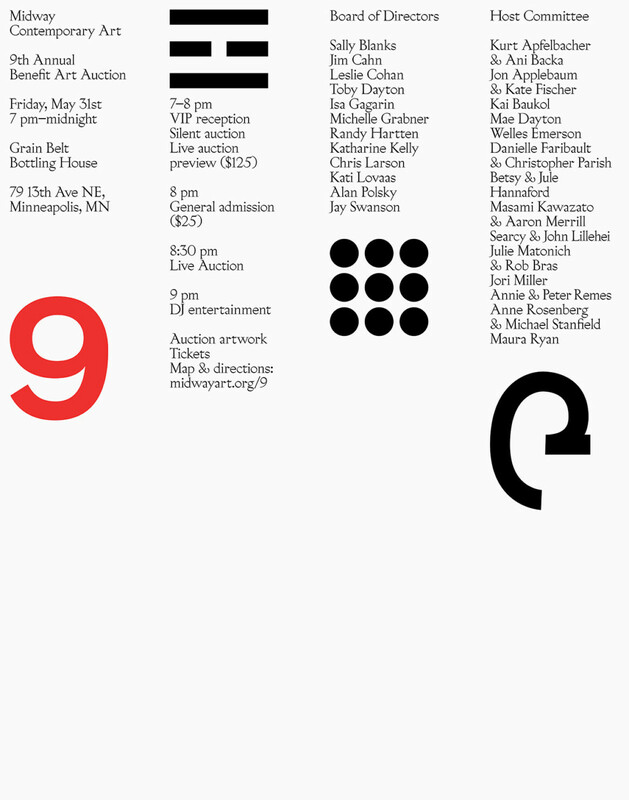 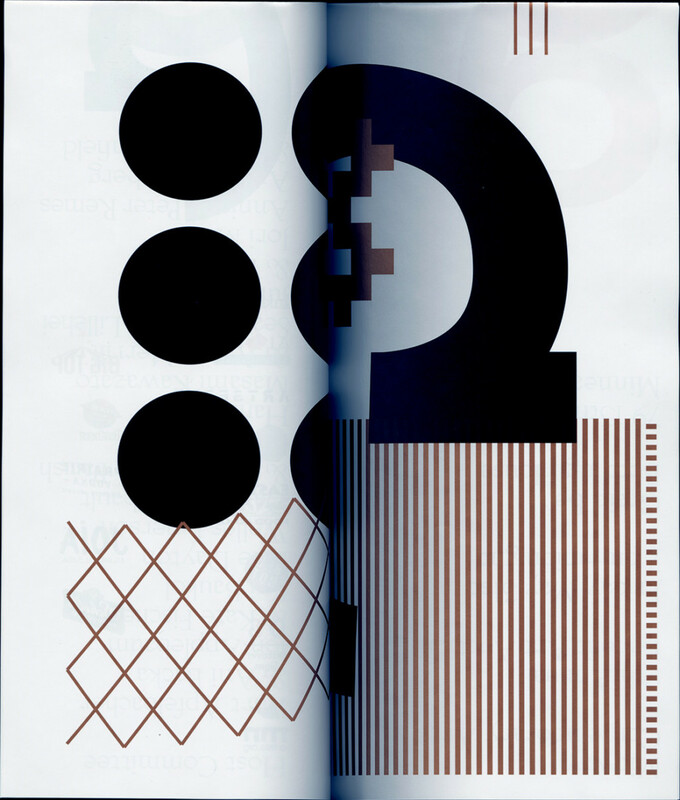 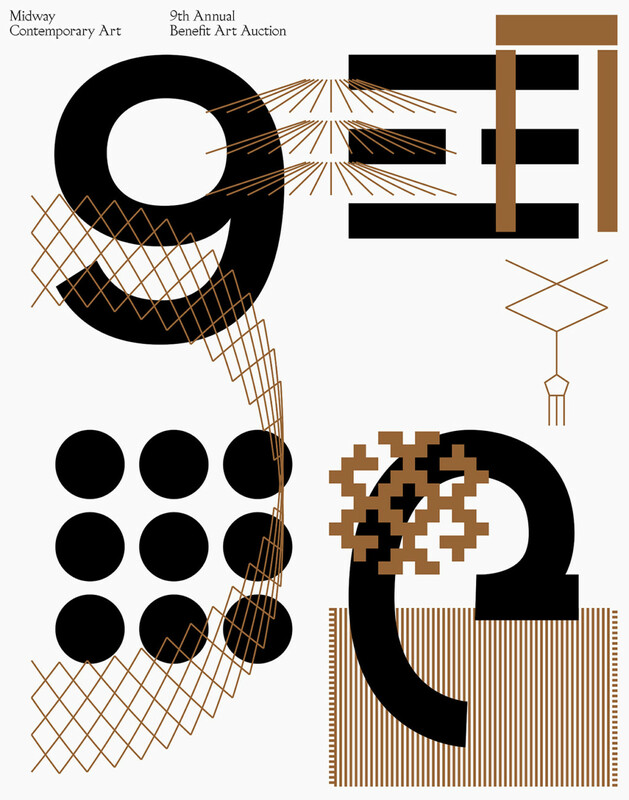 Visual components of the structure are woven together with Arabic/Hindu, Taoist, abstract, and Mongolian representations of the number 9, which appear in the poster/invitation, tickets, and other printed matter for the event.